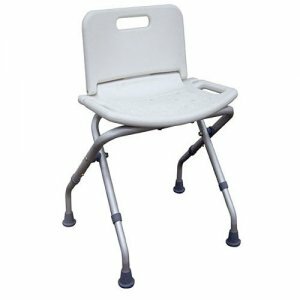 Bath and Shower Seat / Chair - Folding with Back. The deluxe folding bath bench from Drive Medical is built with you in mind. Great for everyday use or for the independent traveler. The seat and back are contoured for comfort providing extra support when seated but folds down flat without tools when not in use or on the go. 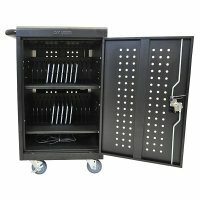 The frame is lightweight but durable and constructed from corrosion-proof aluminum. Its angled legs provide additional stability, and drainage holes in the seat reduce slipping to give you added peace of mind. The bench is protected by a limited lifetime warranty. Outside Legs (Width): 19.5"; Outside Legs (Depth): 20"; Seat (Width): 20"; Seat (Depth): 12"; Seat (Height): 16"-18"; Product Weight: 5 lbs.